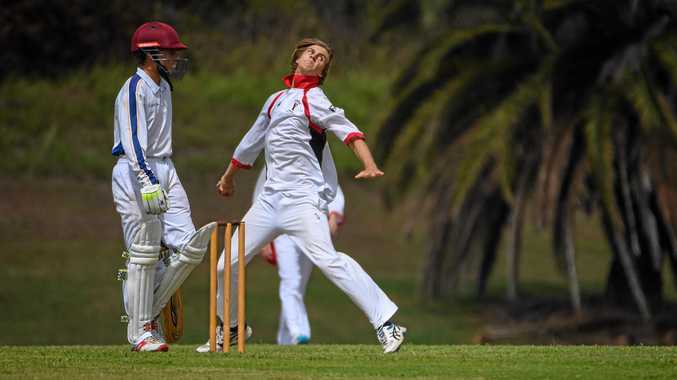 CRICKET: The Waves, Brothers and YMCA will all have the same number of chances to win in this week's grand finals in Bundaberg junior cricket. Each cricket side had two teams qualify for in the finals in under-12, U14 and U16 in Saturday's semis. In U16, Brothers will take on YMCA after their semi against Maryborough was abandoned after four deliveries. Players were slipping on the pitch, which ending the game before first over was bowled. Brothers qualified as they finished higher in the regular season. YMCA survived a close contest against The Waves. YMCA made 104 in its innings with Benjamin Flor making 24 before The Waves made 100 in reply. The side will also have a team in the U12A final after beating Norths convincingly. YMCA made 2/226 before bowling out the opposition for 83. River Felstead (44) and Lachlan Heycox (48) both impressed. The side will take on The Waves in the final after they chased down Brothers' total of 89 in the semi with seven wickets in hand. The Waves is also in the U14 final after beating Norths by 26 runs with Kori Pope making 56, the only half century during the weekend. The side will play Brothers, who defeated Past Highs/Isis by the same margin. The U12, U14 and U16 finals are on this Saturday. Brothers did not bat as match was abandoned after four deliveries due to unsafe conditions from the rain. Brothers progressed to the final as the highest team on the ladder at the end of the regular season.